Batting stars: Jonathan Schoop was 3-for-4 with a double and two runs. Mitch Garver was 2-for-4 with a home run (his third) and two runs. Max Kepler was 2-for-4. Pitching star: Trevor May struck out two in a scoreless inning, giving up a walk. Opposition stars: Jeff McNeil was 2-for-4. Michael Conforto was 1-for-3 with a walk and three RBIs. The game: It started out as a pitchers' duel. Neither team even got a baserunner in the first two innings. 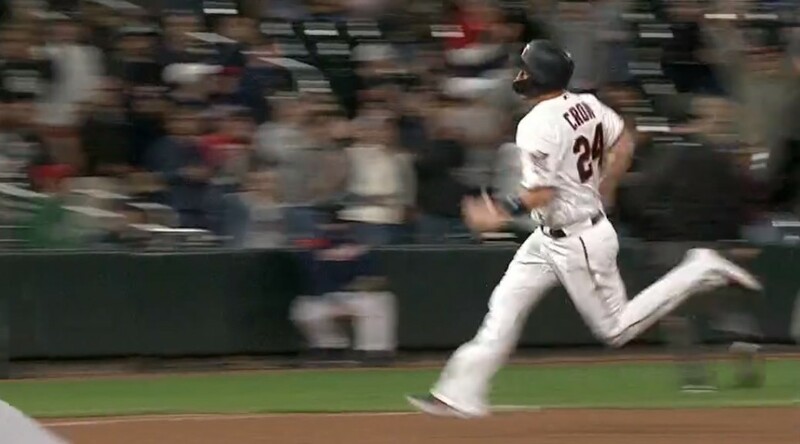 In the third, Schoop led off with an infield single, went to second on a sacrifice bunt, and scored on Kepler's two-out single to give the Twins a 1-0 lead. It was still 1-0 going to the bottom of the fifth and Twins starter Jake Odorizzi appeared to be cruising. Then, suddenly, the roof fell in. With one out, McNeil singled and Amed Rosario and J. D. Davis both walked, loading the bases. Odorizzi then threw one to the backstop, but McNeil was thrown out trying to score and it appeared the Twins might get out of the inning. It was not to be. Mets starter Noah Syndergaard walked to re-load the bases. Odorizzi came out of the game, and Rocco Baldelli chose to bring in Andrew Vasquez, just up from AAA and the most recent fresh arm for the bullpen. Vasquez hit Brandon Nimmo with a pitch, forcing in the tying run, and walked Pete Alonso and Robinson Cano, handing the Mets a 3-1 lead. Trevor Hildenberger then came in and walked Conforto, forcing home another run, and gave up a two-run single to Wilson Ramos. It was a six-run inning for the Mets in which they got just two hits, but it made the difference in the game. The Mets added three more in the seventh, again aided by the base on balls. Nimmo led off with a single, and again Alonso and Cano walked, loading the bases. Conforto delivered a two-run single and McNeil singled home another run. New York had a 9-1 lead and it appeared the game was over. To the Twins' credit, though, they battled to get back into the game. Garver led off the eighth with a single, went to second on a passed ball, and scored on a Schoop double. Byron Buxton tripled and Jake Cave singled, making the score 9-4. Kepler doubled and Jorge Polanco walked, loading the bases with still none out. 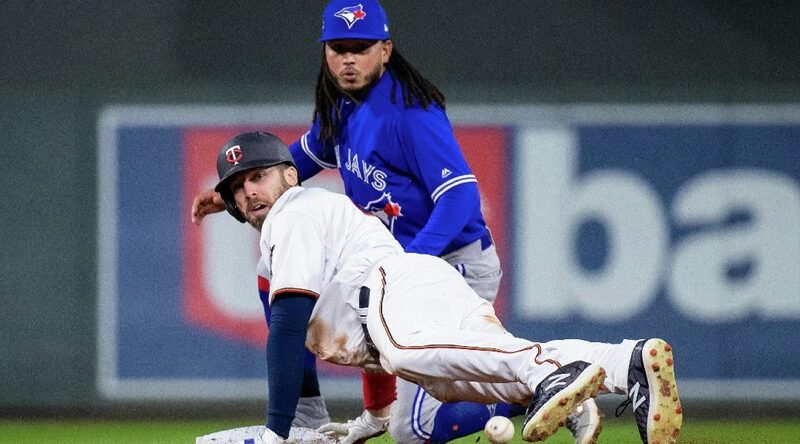 It looked like the Twins might make a game of it, but Willians Astudillo hit into a double play and Eddie Rosario grounded out, ending the inning with the Twins still trailing 9-5. The Twins still weren't done. Garver homered with one out in the ninth to cut the lead to 9-6 and Schoop followed with a single. But Byron Buxton and pinch-hitter Ehire Adrianza each struck out and the game was over. WP: Syndergaard (1-1). LP: Odorizzi (0-2). S: None. Notes: We discussed the move to Vasquez extensively in the game log, and I see no reason to repeat that. I did not hear the post-game press conference, so I don't know if Baldelli explained the decision or what his reasons might have been. I assume he had reasons--despite our criticisms, managers rarely just make moves at random. But at this time, it still makes no sense to me that you bring in the AAA guy with the game on the line. I get saving guys for later in the game, but the plan was to use Martin Perez for multiple innings, so what are you saving those guys for? Yes, many of them had pitched the game before, but most for less than an inning, so they surely could have pitched again. If/when I hear what Baldelli's reasons were I'll consider them, but right now it still strikes me as a bad move. I also don't understand sending Adrianza to bat to make the last out with Nelson Cruz on the bench. Yes, it would've been nice to send Cruz up to represent the tying run, but that chance ended when Buxton struck out. At this point you need at least two consecutive batters to come through to have a chance. What's better: Adrianza and then, if he gets on, Cruz, or Cruz and then, if he gets on, Kepler? The latter seems better to me, and it doesn't seem all that close. Again, if/when I hear Baldelli's reasons I'll consider them, but this just again seems like a clearly bad move. Odorizzi pitched 4.2 innings, giving up three runs on one hit and four walks and striking out three. 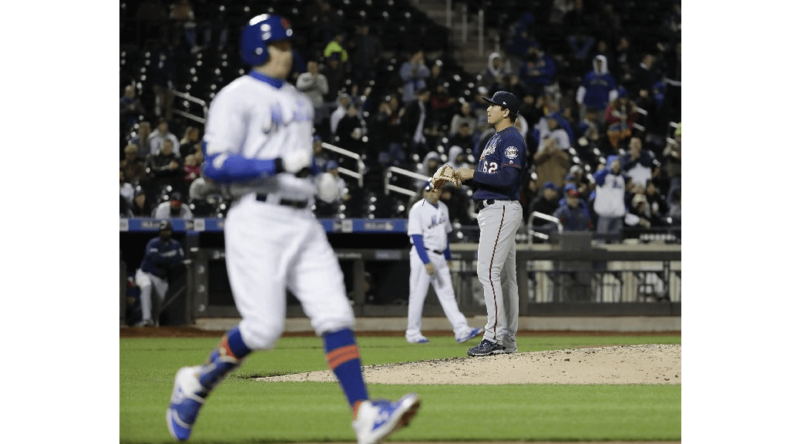 Syndergaard pitched seven innings, giving up four runs on five hits and no walks and striking out seven. Garver is batting .474. Polanco was 0-for-3 and is batting .375. Astudillo was 0-for-4 and is batting .348. Schoop raised his average to .313. Hildenberger and May continue to have ERAs of zero. The Twins out-hit the Mets 9-5. 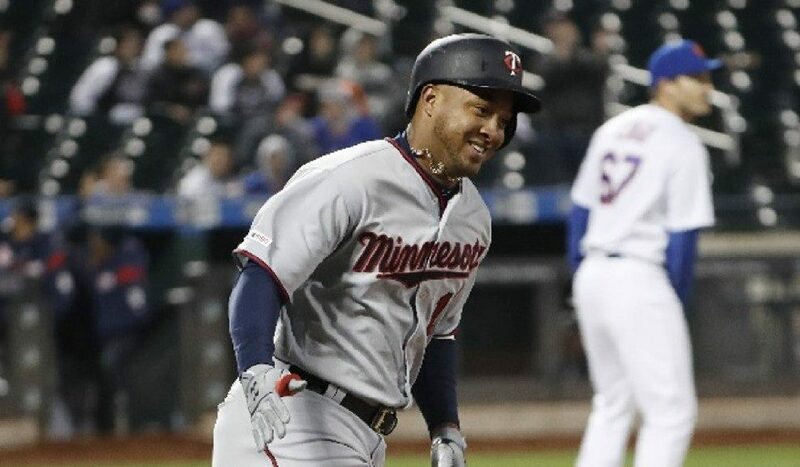 It is not easy to score nine runs on five hits, but the Twins allowed the Mets to do it. Record: The Twins are 6-4, in third place in the American League Central, one game behind Detroit. Projected record: We'll just have to settle for 158-4! Batting stars: Mitch Garver was 4-for-5 with two home runs and three runs. Jorge Polanco was 3-for-5 with a home run (his second) and a triple, scoring twice and driving in two. Eddie Rosario was 2-for-4 with a home run (his second), a double, and a walk, scoring twice and driving in two. Jonathan Schoop was 2-for-5 with two home runs and four RBIs. Byron Buxton was 2-for-5 with a double and a stolen base (his third), scoring twice. Pitching star: Trevor May pitched a perfect inning and struck out one. Trevor Hildenberger retired the only man he faced, which would not normally get him star mention, but it was a very big out. Opposition stars: Amed Rosario was 3-for-5 with a double. Michael Conforto was 2-for-3 with a home run (his third), a double, and two walks, scoring three times. Brandon Nimmo was 2-for-4 with a home run, a double, and a walk, scoring twice. Pete Alonso was 2-for-5 with two home runs (his fourth and fifth) and three RBIs. The game: Garver opened the second inning with a home run, giving the Twins a 1-0 lead. It lasted until the bottom of the second, when Conforto doubled and scored on Rosario's double to tie it 1-1. The Twins took the lead back with a four-run third. Polanco tripled and scored on a wild pitch. 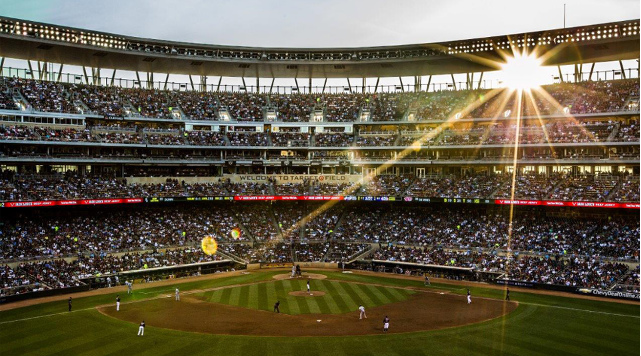 Willians Astudillo singled and Rosario and Garver hit back-to-back home runs to put the Twins up 5-1. The Mets got two of the runs back in the bottom of the third, with home runs by Nimmo and Conforto cutting the margin to 5-3. In the fourth, Buxton doubled and scored on a Max Kepler single to put the Twins up 6-3. In the fifth, Nimmo led off with a double. He was still on second with two out, but walks to Conforto and J. D. Davis loaded the bases. Starter Kyle Gibson came out of the game, and Hildenberger came on to retire Jeff McNeil on a deep fly ball to keep the score 6-3. Schoop homered in the sixth to increase the lead to 7-3. Alonso homered in the seventh to make the score 7-4. The Twins took control of the game in the eighth. Buxton doubled and scored when Ehire Adrianza reached on an error. Polanco then hit a two-run homer to make the score 10-4. The Twins got some insurance in the ninth. Rosario doubled, Garver singled, and Jason Castro hit a pinch-hit single. Schoop followed with a three-run homer to make it 14-4. The extra runs came in handy, as the Mets rallied for four in the bottom of the ninth. Nimmo walked and Alonso hit a two-run homer. A single, a walk, and another single loaded the bases with none out. A walk to McNeil forced in a run and made the score 14-7, still with none out. At that point, Chase De Jong pulled himself together and got a foul out, a force out, and a foul out to end the game. WP: Hildenberger (2-0). 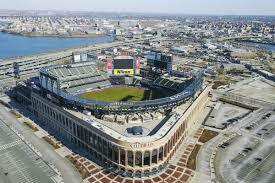 LP: Jacob deGrom (2-1). S: None. Notes: Garver is batting .467. Astudillo was 1-for-5 and is batting .421. Polanco is batting .405. Hildenberger, May, and Ryne Harper all have ERAs of zero. Blake Parker has an ERA of 2.25. Gibson pitched 4.2 innings, allowing three runs on six hits and three walks. He did strike out six. He was pulled one out shy of qualifying for a win, which shows that Rocco Baldelli is more concerned with team wins than pitcher wins. It seems obvious that this is how it should be, but we can all think of Twins managers who did not seem to understand that point. The Twins used six relievers, which is a lot, but none of them pitched more than one inning and four of them pitched less than one inning. There's no reason all of them except De Jong couldn't pitch again tonight. De Jong, of course, is the pitcher the Twins just had to have, couldn't get along without, was worth giving up Tyler Austin to have in the majors by Saturday. This was the first time he's pitched, and quite frankly a position player probably could have done as well as he did. It's not De Jong's fault that the Twins let Austin go, of course, and I have nothing against him. I hope he gets another chance, and I hope he pitches well. But it was still a really stupid thing for the Twins to do. My guess would be that the number of people who expected the Twins to score fourteen runs in a game that Jacob de Grom started was approximately zero. Record: The Twins are 6-3, in second place in the American League Central, a half game behind Cleveland. Projected record: We're still on track for 159-3! Batting stars: Jorge Polanco was 5-for-5 with a home run, a triple, and a double. Jonathan Schoop was 2-for-4. Max Kepler was 1-for-5 with a two-run homer. Pitching stars: Ryne Harper struck out two in 1.1 scoreless innings, giving up one hit. Trevor Hildenberger struck out two in 1.1 scoreless innings, giving up two hits. Trevor May pitched a scoreless inning, giving up one hit. Opposition stars: Rhys Hoskins was 3-for-4 with a walk. Odubel Herrera was 3-for-5. Jean Segura was 2-for-5 with a double and two runs. The game: The Twins got a one-out triple from Polanco in the first but wasted it. The Phillies then took control early, scoring five runs in the bottom of the first. Andrew McCutchen walked and scored on Segura's double-plus-error. With one out, Hoskins singled in the second run, J. T. Realmuto walked, and Cesar Hernandez drew a two-out walk to load the bases. 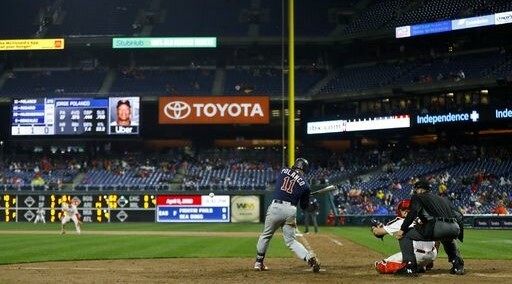 That brought a quick end to Jake Odorizzi's night, as Harper came in and gave up a bloop double-plus-error to Maikel Franco that cleared the bases. The Twins tried to get back into it. In the third Ehire Adrianza had a pinch-hit single and Kepler hit a two-run homer to cut the margin to 5-2. Philadelphia got one of the runs back in the bottom of the third on a walk, an error, a single, and a sacrifice fly. But the Twins kept fighting. Polanco led off the fifth with a home run. Eddie Rosario singled. Martin Perez bunted into a force out, but an error put Perez on second base. A ground out and Jake Cave's infield single cut the margin to 6-4. That was as good as it would get. The Phillies scored once in the bottom of the fifth, as Hernandez and Franco drew two-out walks and Aaron Altherr followed with a double. They put it out of reach in the seventh with another two-out rally. McCutchen walked, Segura singled, and Harper walked, loading the bases. Hoskins then hit a three-run single, with Harper scoring all the way from first when Rosario took his time getting the ball back into the infield. The score went to 10-4, and that was how it ended. WP: Nick Pivetta (0-1). LP: Jake Odorizzi (0-1). S: None. Notes: Byron Buxton was again out of the lineup. He said he could have played; perhaps Baldelli was just being cautious, especially on a wet field. We hope he'll be back today. Cory Provus mentioned that Odorizzi was upset when he was taken out. I don't know if he was upset with the manager or with himself. I hope it was the latter. Yes, he had given up just two runs, and you could argue that it was somewhat of a quick hook. But he wasn't getting much accomplished out there. I'm not holding it against him--it's one game, and most pitchers will have a stink bomb or two over the course of a season. It's only when it becomes a trend that it's worrisome. The Twins just had an overall sloppy game. I wonder if they expected the game to get rained out and just weren't mentally ready to play. That's pure speculation, but they issued nine walks, made three errors, and had other mistakes as well. Again, it happens to everybody once in a while. It just better not happen very often. The Twins had brought Harper in to pitch in the first and pulled him for a pinch-hitter in the top of the third, meaning he pitched just 1.1 innings. I said at the time that I would not have done it that way, and the fact that pinch-hitter Adrianza got a hit and Kepler followed with a two-run homer doesn't change my mind. I understand why you do it. He was leading off the inning, and you're trying to score some runs and get back into the game. The downside of it, though, is what ultimately happened--the Twins went through five relief pitchers in a game they wouldn't win anyway. Baldelli didn't know that they wouldn't win it, of course, and you don't want to give up on a game in the third inning. But when you're down 5-0 you know the odds are against you, and I'd argue that letting Harper bat would not have been giving up on the game. It would just have been giving up one out in the third inning. Don't get me wrong--I'm not arguing that pinch-hitting was a blatantly stupid move. I just wouldn't have done it that way. As it happens, the Twins don't have a long reliever to use today if Michael Pineda falters early. It's true that, other than Perez, nobody pitched more than 1.1 innings, and so (again other than Perez) they could probably all pitch again today. But you're not going to use any of them for three or four innings, so if you do get a short start you're going to have to run through them all again. That would really put the pressure on Jose Berrios to go seven or so on Sunday. Not that he can't do it, but it's still not an ideal situation. Record: The Twins are 4-2, in first place in the American League Central, leading Detroit by percentage points. Projected record: We'll just have to settle for 160-2! Batting stars: Mitch Garver was 3-for-4 with a double, two runs, and two RBIs. Willians Astudillo was 3-for-5 with a double and two runs. Eddie Rosario was 2-for-4 with a double and a walk. Pitching stars: Adalberto Mejia struck out three in 2.1 scoreless innings, giving up a walk. Trevor May pitched 1.2 scoreless innings, giving up a hit. Opposition stars: Alex Gordon was 2-for-4 with a home run, a walk, and four RBIs. Ryan O'Hearn was 2-for-4. Adalberto Mondesi was 2-for-5 with a triple and two runs. The game: The Royals again got on the board in the first inning, as Mondesi hit a one-out triple and Gordon followed with an RBI single. The Twins tied it in the second when Rosario led off with a double and Astudillo followed with an RBI single. The Twins got a two-out double from Jorge Polanco in the third but could do nothing with it. They took the lead in the fourth, however, as Astudillo singled and Jake Cave walked. Garver put the Twins ahead with a run-scoring double, but Cave was thrown out at the plate. Ehire Adrianza hit a sacrifice fly, though, and the Twins had a 3-1 lead. The Royals missed a chance in the bottom of the fourth when Jorge Soler was thrown out trying to steal home as part of a double steal. They came back big in the fifth, though. The first two batters went out. Billy Hamilton walked, stole second, and scored on a Whit Merrifield single. Mondesi followed with an infield hit that Dazzle said Adrianza should have turned into the third out. It cost the Twins, as Gordon followed with a three-run homer to put Kansas City up 5-3. Kansas City wasn't done. Soler reached on an error, O'Hearn singled, and Chris Owings singled to make the score 6-3. It was not looking good for the visiting Twins. They bounced right back, however. In the sixth, Astudillo hit a one-out double and Garver delivered a two-out single to cut the margin to 6-4. In the eighth, Garver hit a one-out single, Tyler Austin had a two-out double, and Max Kepler tied the score with a double. Then, in the ninth, Nelson Cruz led off with a walk. Pinch-runner Byron Buxton stole second and scored on Rosario's single to give the Twins a 7-6 advantage. The Royals went down in order in the ninth. WP: May (1-0). LP: Wily Peralta (0-1). S: Blake Parker (2). Notes: Kyle Gibson started and pitched well for four innings. His final line, however, is 4.2 innings, six runs (five earned), eight hits, two walks, and two strikeouts. He was not helped by his defense in the fifth. 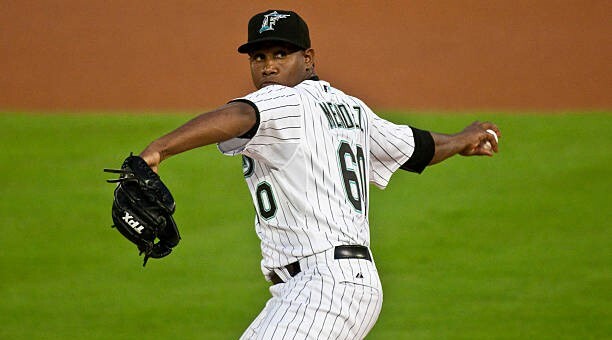 it also seems likely that, as he continues to gain strength after his bout with e coli, he tired as he tried to get five outs in the fifth inning. Time will tell, but I don't see any reason to hold that inning against him. As Buxton was used as a pinch-runner and stole a base, I assume there are no linger effects from his collision with the fence Tuesday night. This was the third time Adalberto Mejia and Adalberto Mondesi appeared in the same game. The other times were August 20, 2016 and May 21, 2017. There has only been one other major league player named "Adalberto". Right-hander Adalberto Mendez appeared in five games for Florida in 2010. Thus, there has never been a major league player named "Adalberto" whose last name did not start with "M". 4-1 is obviously a good start. 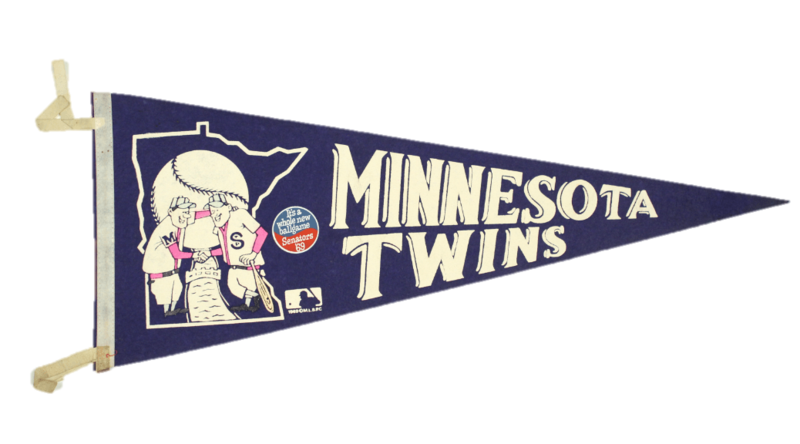 We don't know how good yet, because we don't know how the teams are that the Twins have been playing. Cleveland is supposed to be good, and maybe they will be, but they've had injuries and don't look like a very good team at the moment. The Royals appear to have some talent, but every time they look like they're starting to put it together they do some things to remind you that they're the Royals. This is not intended as criticism of the Twins--you can only play the teams on your schedule, and no matter who you play you still have to go out and beat them. The only point, which is probably obvious, is that I don't know if we have a very good read on how good the Twins are going to be yet. But on the other hand, we also don't have a very good read on how good they need to be. Cleveland is supposed to be the class of the division, and it still may turn out that way. But if it's not them, who is it? Kansas City? Detroit? Chicago? Any of those teams could turn out to be good, of course, but it's not looking like it right now. You don't necessarily have to be a great team to win a division--you just have to be better than the other four teams in it. It's entirely possible that the Twins will be able to do that. Record: The Twins are 4-1, in first place in the American League Central, one game ahead of Detroit. Projected record: We're still on track for 161-1!